A high technology machine which consists of light wave to assess the appearance of retina, and optic nerve to assist in diagnosis and follow-up of retinopathy, glaucoma and other disorders of optic nerve and macula lutea. Banphaeo Hospital has Cirrus HD-OCT SPECTAL DOMAIN TECHNOLOGY which is the most modern machine now, and it is used in leading hospitals. A machine used for perimetry to assist in diagnosis and follow-up of glaucoma (The visual field is the wide area where each eye can see.) If it is glaucoma, the visible area will be narrowed. Banphaeo Hospital has HUMPHEY PERIMETRY model 750i which is the most modern machine now. A machine used for taking a picture of retina by the principle of laser. It provides a clearer and more detailed picture than general light. The principle of this machine starts on Fluorescein and ICG angiography into blood vessels. After that, it takes a picture of retina by using laser into the retina, and then takes a picture of Fluorescein and ICG which reach into the retina. This method assists in diagnosis of retinopathy, diabetic retinopathy, central serous chorioretinopathy, retinal vascular disease, etc. Digital slit lamp microscope is the main equipment which used for eye examination from the front of the eye (eyelid) to the back of the eye (retina). This microscope is able to magnify pictures up to 40X, so the ophthalmologist can clearly see patient’s eyes. Digital slit lamp microscope is connected to ophthalmologist’s camera for eye examination. It can display pictures on the screen, so the patient can see own eyes and the ophthalmologist can describe immediately. It can also take pictures and save them like a camera, so the ophthalmologist can view recorded images and compare results of each day. This machine is able to examine eye and vision disorder by computer, and also check corneal curvature in 360 degrees of radiance. It can identify the result of visual acuity test whether patient’s eyes are shortsighted, or longsighted, or astigmatic, and indicate the degree of astigmatism. The non-contact system intra ocular pressure tonometer is a machine used for measuring intra ocular pressure of the patient using Air Puff. Fundus camera Nonmyd ALFA-D used for taking a picture of patient's retina in order to diagnose various disorders such as diabetic retinopathy, and macular degeneration. That makes the ophthalmologist diagnoses various retinal diseases conveniently and rapidly, and uses for screening a large amount of patients, such as diabetic retinopathy examination. A-Scan is used for measuring the length of eyeball by ultrasonic and calculating Intra Ocular Lens for the patient who is going to be undergone cataract surgery such as diabetic retinopathy examination. B-Scan is used for eye examination by ultrasonic to examine disorders within eyeballs and the back of eyeballs when the turbidity covers that makes the ophthalmologist unable to look into eyeballs and used for retinal detachment examination. Laser equipment is used in treatment of the patient with retinal diseases. It is designed to be able to shoot laser both types of one point at a time or many points at the same time. At present, Pattern (PASCAL) is mainly used in treatment of the patient with severe diabetic retinopathy, macular hole, etc. The advantage of Pattern (PASCAL) is safe for the patient because it reduces the number of treatments compared to original laser which can shoot only one point at a time, so it can reduce the duration of laser shooting each time and also facilitate the patient. The benefit of this equipment is : It can be used to make Iridotomy in order to prevent and treat close-angle glaucoma by shooting laser to better drain water in the eyeball. In addition, this equipment is also used for opening Posterior Capsule Opacification after cataract. It makes the patient has better vision. 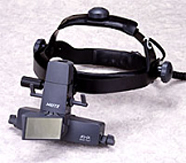 An equipment which the ophthalmologist can check patient’s eyes and shoot laser simultaneously. It is used for examination and treatment of patients with retinal diseases such as diabetic retinopathy, macular hole, preterm infants, low birth weight infants with retinal vascular disease, patients who can not sit for diagnosis and laser treatment, etc. It is the most modern and safest technique now. This machine can be set energy release system for phacoemulsification related to suction power of the machine in order to release not too much energy to destroy some useful tissue. In addition, there is White Star System that releases energy into the frequency band, which assists in phacoemulsification with the minimum power. This results in the maximum safety for patients. The most modern ophthalmic operating microscope of ZEISS consists of multi-layer lens system which is able to continuously zoom. There is the same imaging system as coaxial system that assists the ophthalmologist performs surgery conveniently and safely, including an assistant microscope that displays the same image as the ophthalmologist’s image. There is built-in invertor which is used in retina and vitreous surgery with wide lens system. Currently, this microscope is used in treatment of retinal detachment, macular pucker, glaucoma, vitreous hemorrhage, complicated cataract surgery, and corneal transplantation. An important machine used in treatment of retinal and vitreous diseases such as retinal detachment, vitreous hemorrhage, and diabetic retinopathy. This machine can be used together with Endophotocoagulation. At present, this machine for Pars plana vitrectomy is able to cut up to 2,500 cuts/mm at a time and also operate small wound (23, 25 Gaze) without stitching. In addition, there is a system which can simultaneously perform cataract surgery and retinal surgery. This results in maximum convenience and safety of patients.